Cigna (www.cigna.com) is an American worldwide health services organization. It serves over 85 million customers globally in 30 countries. With over 35,000 employees the consolidated revenues in 2014 were reported as US 34.9 billion. Cigna is traded publicly on the NYSE:CI. If you have a problem with Cigna services you may call 1-800-997-1654. If you would like to send postal correspondence to the CEO, David Cordani, address your mail to him at 900 Cottage Grove Road, Bloomfield, CT 06002. Cigna was founded in 1792 and over 200 years later now focuses on health care as opposed to ‘sick care’. Links from the corporate website offer ‘country specific’ social media sites. Basic presence may be found on Facebook, Twitter as well as Google+, YouTube Linkedin and Instagram. Called customer service about my Dr. office billing..Spoke to Tristan, she put me on hold called my Dr. and had everything straightened out in less than 10 min. Had to let you know this is the way to do things. Quick and professional. Later I tried logging on and had a problem, again called and spoke with Wendy. Again I was given the correct information immediately. I think your customer service reps. are fantastic, and I had to let you know. Thank you, James McConnell. When I pick an health insurance company through the Federal Government I make sure my doctor and hospital is in network. I don't feel that you have the right to change the in network providers until it is time for renewal. When I called APWU, I was transferred until the person I spoke to wasn't even connected with APWU or Cigna. I am very dissatisfied with you because of this and unless it is corrected I will never use Cigna again. APWU said it was the provider who cancelled the insurance and the providers claim it was Cigna, not them. I would like to know the truth. I also called and asked APWU if my doctor was still in network. I was told that he was and now I'm being charged for him not being in network. I'd like to file a complaint on the Authorization Department for an unexceptional customer service. The lady called our facility very angrily and very rude telling me that it was 5pm there and that she's suppose to be home rather than doing her work. From the moment I started talking, Nancy K., yelled at me and never toned it down. She was so upset about the pre-certification claim that I had filed that she hung up on me and then called again to yell at me even more. There was no Hi, how are you doing, my name is... She did not have to yell at me or to our receptionist because she is having a bad day or that she's suppose to be home already. I did not appreciate getting scolded or treated that way. She also didn't give me any direction on how to file an appeal. She told me that she doesn't know the number because she doesn't have a phone book. Please in-service her on customer service because no one needs to be scolded for trying to get an authorization approval. If I could give a zero, I would. 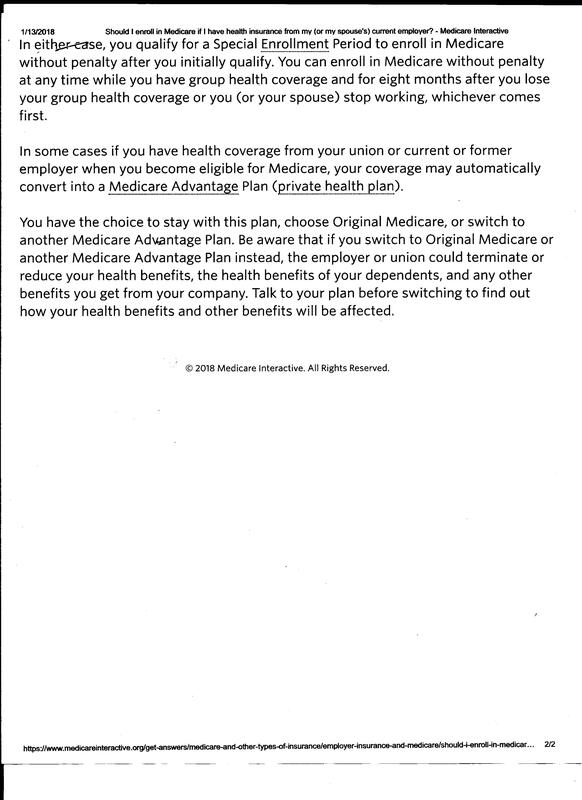 CIAGNA did not accept me for a Medicare select plan. Their stated reason made no sense (my use in the prior year of two common drugs for pain due to injury). In their letter, they said they would give me the information in their file supporting the decision. Their new business division has simply not replied to two written requests for that information. Since an insurance denial can impact my future, I believe it important to see the real reason coverage was not extended to me. during my work 10min break I called cigna to check up on the pending status, but they place me on hold for so long especially right after I requested to escalate my case the associate name Verdugo or Vergo? placed me on hold for 10 minutes or so. when I had to disconnect the call after long time of waiting (all I hear was music) the total call time was slight pass 20 minutes and got no reference to the request I made or any specific results for the call. I wish he would've checked with me time to time to ask if it was okay to place me on hold for such a long time... when he said it would be few mins of hold it went pass that 10 minutes!!! I am not satisfied with the call time. I have to make the call again later urg!!! My short term claim was closed without notification by a worker named Shalonda . I appealed short term. I paid my PCP to fax notes but didn't realize that Cigna was to request the information from the other doctors involved. I saw all the appropriate doctors and informed Cigna of the names, telephone numbers, and locations of these doctors. The appeals was turned over to a worker named Chelsea. She has all the information of all the doctors and visits and addresses. I signed releases at the doctors to have this information released upon request.. Neither Shalonda nor Chelsea requested this information on time.. I sent a 12 page fax of all information I could retrieve. I called Chelsea today and she tells me that she will give me two more weeks to get the information in before they start the appeal. This is a legal procedure involving a written letter by me , by a certain time. I have been hospitalized for MDD, and although I sent all the information I had to Chelsea's department, when I called her today, she hadn't contacted these facilities. Chelsea is never clear as to weather she received what was sent and she's always off with her dates. In my opinion, Chelsea and Shalonda are not the kind of workers a reputable company would hire, and I'm positive their work ethics are not known to the people who should know. person in charge of IT that needs to be fired?! I have been trying to get my Durable Medical Equipment (Before my surgery) for nearly 2 weeks. I have worked with Care Centrix (who are generally useless). I keep getting told I am in an escalation que and still it doesn't move from that Que. I told them in PLENTY of time that I needed my DME by No Late Than 6/27 as I am leaving to travel to the surgery facility on Thursday I have had the run around from Care Centrix, Countrywide Medical, Colonial Medical group (who actually told me that They didn't know why I was transferred to them, they didn't even take my insurance.... I have been lied to, disconnected, told that the computer crashed and all calls were hung up on, told that my device was going to be delivered to the hospital (they couldn't tell me then even where my hospital was). All of this over a little device that I could have ordered on Amazon for 150 bucks, but no, I have to go through you because I haven't met my deductible... So I am still going to have to pay for it... And I not have over 8 HOURS invested in phone calls, begging, pleading just for someone to actually give a crap about the patient. I would like a call from an executive complaint department ( if there is even anyone who will actually read this email). I think it is funny that on this actual web page... it actually says the #2 reason people write in is a complaint over customer service.... Unreal! Call me at 256-975-0706 if you really care for your customers. I will be willing to bet this goes into a mailbox where either a bot will respond or it gets erased. I've been a member of Cigna through Medicare Part D for two years. There has never been a problem covering my pain meds until all of a sudden they just quit last week. Every time I called in it was something new that was always wrong information. First it was they were out of CII meds, then it was I had reached my limit according to Florida DEA limits (there are none). Finally I found out the truth from a pharmacist, if you're on high dose pain meds it triggers a meeting of a 4 person department that consists of a doctor, a pharmacist, and two others (I don't remember), to determine if it's in the 'best interest of the member' to be on that much pain medication long term. If their decision is no then they stop filling your scripts. They didn't consult with my doctor or myself to see why I was taking it. How can they expect me to suddenly stop taking a medicine I've been taking for 15 years? And on top of that, in these kinds of situations they won't cover ANY Narcotics/Opioids for you. I was using some of my food money to overnight the script and have the medicine overnighted back for safety. I CAN'T get it locally so even if I could afford it out of pocket I can't get it. I also have heart problems so now I'm afraid that the stress of going through the severe withdrawal symptoms will cause me to have a heart attack. I would think they would be worried about people suing them for suddenly stopping them from taking their legally prescribed medicine with no notice and no recourse if it causes them harm during the withdrawal phase. So far Medicare has prevented me from changing insurances but if I can get a supervisor to speak with them (so far I haven't been able to speak to one) and get them to admit that they are not going to cover/fill any more pain prescriptions then they should allow me to do so. You need to update your list of Drs. who take your insurance. I have been searching for a Dr. with the names Cigna PPO gave me, they do not take your insurance. I than called back 3 to 4 times got more numbers same thing do not take Cigna PPO. Called customer service back again asked for a supervisor thinking for sure, she would welcome the news that Cigna PPO LIST NEEDS UPDATING....Her response..so you didn't get a hold of anybody. I than asked for her supervisor I was put on hold and was never given the supervisor's, supervisor. Calls are monitored it would be easy for someone that works for Cigna to find the incompetent supervisor who left a customer on hold. Was over charged on some drugs that were ordered On March 18th 2016. Today is April 17 2016. I am waiting and waiting. With no answers from Cigna still. This is not good customer service at all. Just wanted to express my concerns on the Cigna Dental Insurance we have had in place since October of 2015. I am not seeking a response or alternative plan, just sharing the concerns that we are having. According to Cigna customer service department, our insurance coverage’s for Dental falls under an “Alternate Benefit” clause, which according to the Cigna representative I talked with on Monday, stated the was requested by Richland County. It was explained to me that the Dentist performing the procedures must conform to the approved procedures, with approved materials, according to the “Alternate Benefit”. One of the problems is that most Dentists are continuously upgrading their facilities to improve services to the patients, and they do not retain materials or composites that have been deemed out dated. Example: The Dentist performs a routine cleaning and inspection and finds that a molar tooth needs a cavity filled. They schedule this work and the procedure is completed. When Cigna receives the claim for $ 217.00 they state that they will only pay $ 117.00 as the Dentist should have used a silver fill composite, and not a white composite material for filling. This Dentist is in the network, and they do not use the silver or other composite as they have updated to current dentistry practices, and use the one white composite for fillings. They do not consider the procedures and the composites they use as “Cosmetic” dental repairs. Unfortunately Cigna , under this plan, has deemed this as a cosmetic alternative. Most patients do not consider jumping from one dentist to the other. Once someone is found that they feel comfortable with, they stay with them. If the Dentist does not provide the services that match the Cigna coverage’s, The patient is required to pay for this out of pocket. If the patient does decide to go to another Dentist to have work done that is within the Cigna Coverage’s, then additional X-rays, appointments , etc. apply, which would also be paid out of pocket by the patient. It is my opinion that Cigna Dental knows that patients will not change Dentist, so this results in more out of pocket costs to the patient. I can understand the Cosmetic guidelines when it refers to implants, veneers, etc., but it should not apply to standard dental repairs. I have informed my Dentist that all work required will need to be reviewed with Cigna, and a quote for repair coverage’s must be obtained before scheduling. It is most unfortunate that we have come to this requirement. This however does not solve the issue, as the Dentist is not going to go back to outdated materials to repair my tooth, so we are still going to pay out of pocket, or not have the work completed, which is only going to make things worse. From the $ 217.00 billing, Cigna paid $ 31.00. This was based on $ 217.00 less the $ 100.00 deduction for the “alternate Benefit”, then the deduction of $ 75.00 deductible. The payment was also based on requiring the Dentist to write off $ 25.00 of their bill, and then they paid 80 % of the balance, which resulted in a total payment from Cigna of $31.00. I am required to pay $ 157.00 out of pocket for the services rendered. Thank you for taking the time to hear our concerns. I am not attempting to cause problems, just thought someone should know what we are going through with this. I was told in April of this year I had cancer I was scheduled for surgery on August 5th so on July 30th that was my last day of work and I have not been back to work as of now. Still don't know when I will be returning. As of today I have only received payment from Cigna corporate office for 50 days of FML I am told I have 12 weeks which is 84 days. I have not received any other check but the one for 50 days and I received a letter last week stating my FML leave was expired I can never call and get to speak to my case handler and it is sometimes 3 or 4 days before I get a call back. Usually after I have called my employee to check on it for me the last time I spoke to her I was told my FML benefits had run out and she would not be handling my case here on out I still have not heard from anyone about when or what needs to happen for me to start receiving my Long term disability and why I have not received payment for the other 34 days on my FML. I have enough stress in my life right now dealing with cancer with bills coming in having to travel back and forth from Louisiana to Phoenix with those expenses and not being able to receive the financial help that my company has paid for in my behalf for the last 20 years I am really sorry that its coming to this to hope I can get the help I need until I can return to work. Can someone help me contact Cigna customer service with my complaint? I enrolled with Katherine Ferrell with the agreement she would not summit it until Dec 1st. I explained to her for 45min I was having cataracts surgery and I did not want anything to interfere with that. I begged her she promised me she wouldn't do anything until Dec 1st now they say I have to pay for it and I am disability s.s. 69 years old. This women should be fired for what she did and I am reporting this to the Department of insurance complaints. First, let me start by saying that I was supposed to have a diagnostic pre op procedure back at the beginning of this year. Because of Cigna jerking me around and causing me to jump thru hoops to get the approval, valuable time was wasted and I've been in a wheelchair since February with debilitating spinal pain, and my surgery was postponed until July 21. Now, 4 days before surgery to correct problems in my spine, they are denying the surgery, saying it's not medically necessary. If my Neurosurgeon (and the second opinion from the head of neurosurgery) thinks it is medically necessary, who is Cigna to say it isn't?? I'm a disabled mother of 3 teenagers, in constant mind-numbing pain and stuck depending on a wheelchair to get out of my home (on the rare occasion I CAN leave my home for dr appointments only!! ), and I demand that Cigna let my doctors decide what is best for me! Since our insurance changed from BCBS to Cigna at the beginning of this year, I've endured absolute hell and wasted money I don't have trying to prove medical necessity to this insurance company. Every doctor I've been to has said that all of their CIGNA patients endure the same mistreatment, and this is just WRONG. My quality of life right now is close to zero, and yet I have to continue to go through fight after fight to get medical procedures and now surgery that I've known I needed for the past year. No one should be treated this way. I enrolled in Cigna because they covered all of my medicines. Within four months of enrollment, they denied coverage of four important medications. Though my doctor wrote a prior authorization with details, they denied coverage regardless. How can an insurance company make decisions about my health needs when my doctor has made thoughtfiul, wise recommendations based on years of his care. In addition, because I am on Medicare, I am not allowed to purchase these medications out of pocket. Now I do not have the care I require, thus putting my health in jeopardy. This is outrageous! For 3 months of 2013 I had both Cigna and MPHI insurance. MPHI was secondary as it ended in Dec 2012 and started again in April 2013, but only for 3 months. Cigna has refused to accept that MPHI changed form primary to secondary for 2013 and is to date refusing to pay claims from that time. My faxes, phone calls with their reps, copies of paperwork sent to them multiple times, all amount to nothing. I have had no satisfaction from them, no return phone calls as promised by their claim manager Amy H. ext 50942 “looking into the problem”, no paperwork relating to the problem, just requests for information already sent to them by mail and fax. Not to mention HOURS on hold. This morning I have already been on hold for 36 minutes trying to reach Amy H, who did not call me 3/10 as promised. ID U50254573 Alexandra Peterson 6-2. Claims in question for Hailey Patton, Dr. Max Lehfeldt, Labcorp, Arcadia Outpatients, Dr. Fernandez, Dr. Jarquiez. April – June 2013. You have the certificate of creditable insurance from MPHI stating theta Cigna is primary for 2013, and all EOB copies of denial from MPHI. I have now been on hold for 40 minutes. Needed back surgery and it was denied because Cigna decided that the procedure was expermental. So after alot of sending in alot of medical proof they only approved for me to have half a surgery and the hardware. The only problemwith this was putting in the hardware was denied again. What do I need with the hardware put it in a bag and bring it home to look at. Cigna is one of the worst insurance companies I have ever dealt with. Also this surgery has been done in the US for 10 years so when is it considering not expermental? I agree that Cigna is a terrible insurance company. I am a health care provider and I recently sustained an injury to my right foot awhile back. First thing that I did was try to get an MRI for it! I worry that if I had a suspected nodule that needed to be biopsied they would not allow it to happen. 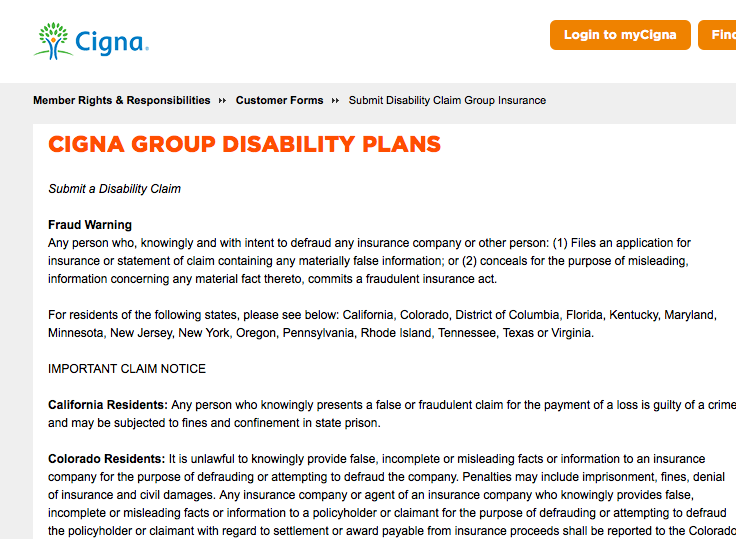 I guess by allowing people to remain ill and eventually die, Cigna insurance company can keep the insurance claims down. Way to go Cigna, thanks for taking care of my insurance claim to the injury in my foot! My husband & I got married three years ago. Naturally, after we got married my husband decided to apply me to his Cigna life insurance as beneficiary. Two years ago he applied to have me added to my own life insurance policy…little did we know Cigna would be beating around the bush for over two years about something that should have been handled. I got a letter today that states I was denied because of my “height to weight ratio.” IT IS COMPLETE AND UTTER BULLS***. If they measured based on the body mass index then my husband would have been denied too. I guess my only life insurance is GOING TO SOMEONE ELSE. I was employed by Konica Minolta and my department was dissolved in January 2010. Konica paid for my insurance for 1 month and paid the supplemental cobra through ADP to Cigna. In February 2010 I fell and broke my knee. Cigna was still in force as the primary provider. They paid part and then demanded their money back from health providers, saying that because I did not carry Part B they were not responsible in any way for paying my claims. My daughter, who is a nursing home administrator has informed me that Cigna has the worst reputation in the health care community for paying claims and told me of her multiple experiences concering Cigna claims. My health insurance through my job is Cigna. I need a procedure in which my insurance company will not approve because they say it is not fda approved. Recently I learned that another patient who also has cigna was approved for the exact same procedure but yet I was told by Cigna customer service on several occasions that this was not fda approved and Cigna would not approve it for anyone. I do not know about you but this sounds like the truth is that this is an expensive procedure and that is why they are dancing around the real reason for the denial it is expensive. I guess the CEO who makes millions of dollars every year does not want anyone to cut into that.